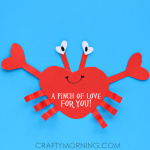 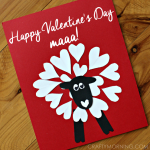 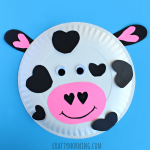 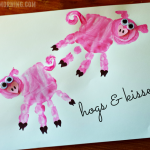 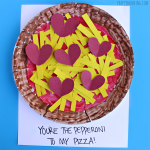 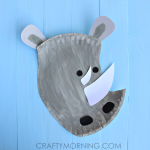 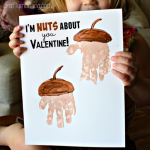 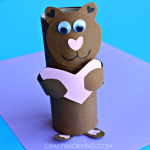 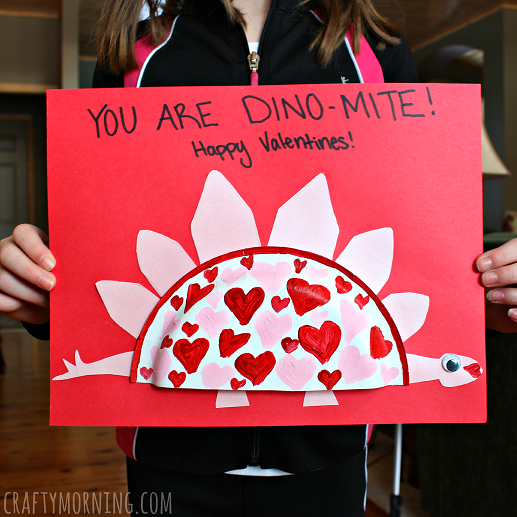 Here’s a fun Valentine’s Day craft for the kiddos to make! 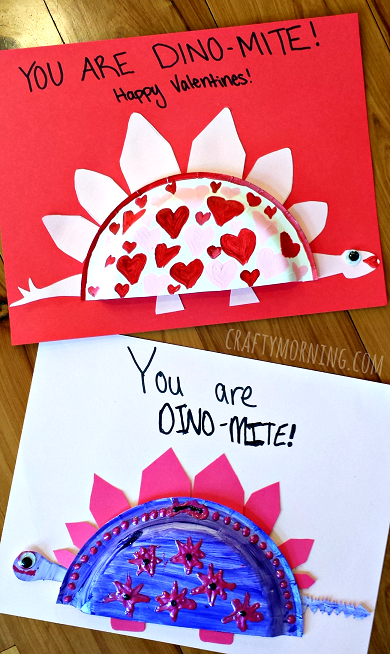 It’s a cheap homemade Valentines card that says “You are DINO-MITE!” The kids had a lot of fun designing their dinosaurs with hearts and shapes. 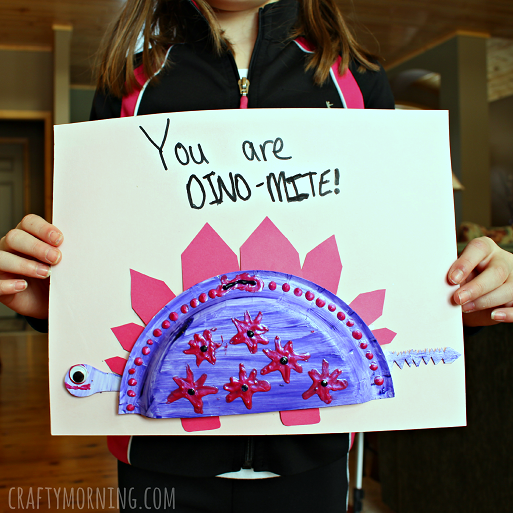 Add a face, tail, and a googly eye to finish the little dinosaur!